Your opinion matters. Leave your review of Chapel House Shelter. 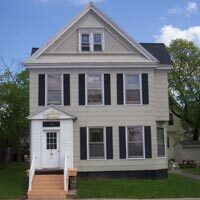 Description: Homeless Shelter that has over 4200 square feet of emergency and transitional housing in a residential setting for men, women, and children. Do you have items to donate? Contact Chapel House Shelter at the phone number provided above to see if they can use any items you may have to donate.